This report shows you the title companies/attorney's you've used to close transactions. You can filter this report by specific date ranges. 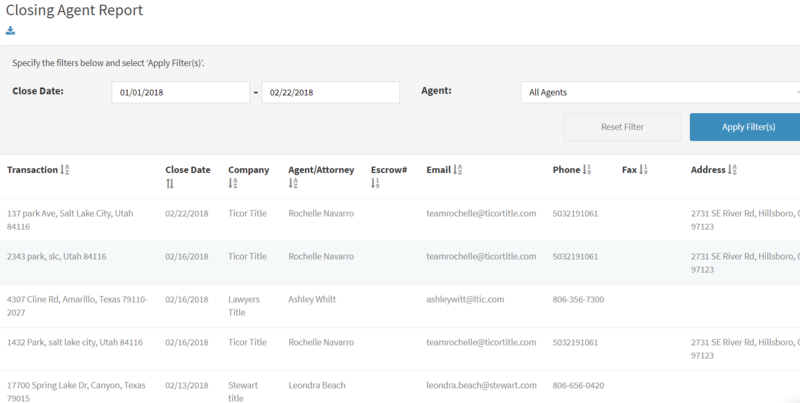 You can also filter the report by all agents or specific agents. The report will have your transaction information, close date, title company and/or attorney name, escrow number, email address, phone number and address.